I am the third generation of realtors in our family. My father and grandfather owned a real estate company in Atlanta, Georgia. The family business is still going strong after 80 years. Some of my greatest life lessons were learned around a large round mahogany kitchen table where my parents shared real estate stories. I learned that the basis for success in any area of life is always to tell the truth, to be an excellent listener, to become an expert at whatever you do and to treat your clients like the most important people in your world. With a background in nursing and counseling, I have learned the important skill of careful listening which helps me provide what my clients expect, want and need. I have lived and worked in Atlanta, London, Miami, and Ponte Vedra Beach, Florida. I understand the complexities of various cultures and personalities and know how to provide the best level of representation. My life goal is to provide the highest level of service and communication to my customers, to serve with honesty based on knowledge and expertise and to make life-long friendships in the process!! "Tina is by far the finest real estate professional we have ever met. Not only does she aggressively market your property, but she brings a personal touch to the sales and marketing program for your home. She made the selling experience a good one." "As a first time home buyer, I am so glad that Tina was my realtor. She took care of every detail and communicated with me so I was aware and understood each phase of the process. She was able to find me the perfect home and to negotiate so that all parties walked away from the table happy!" "With the help of Tina's energy, attention to detail, knowledge of local real estate and commitment to our needs, we were able to find and close on the perfect home within a very short time period. The home buyer process is dynamic and challenging at every level, and Tina's experience and ability to effectively coordinate all of the relevant parties, allowed us to efficiently navigate the process." "Tina's excellent communication skills, as well as knowledge of the real estate business helped us to quickly and successfully find and purchase the perfect home in Ponte Vedra. We were privileged to work with Tina and recommend her highly." "When I decided to list, there was only one person I considered because of her reputation and integrity. Tina was very proactive and diligent in her approach to marketing and selling my home. 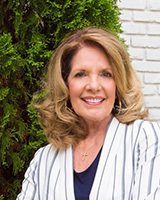 I would highly recommend Tina to anyone who has decided to sell their home and are looking for an experienced professional and also a truly great person to work with during the process who offers new and fresh ideas tailored to the sale of the property"
"Our realtor, Tina Schneider, was congenial yet non-agressive. She answered all of our questions and provided insight about the property, community and the general area. Tina is a proven, professional realtor with excellent knowledge of the community and the real-estate market. Our overall experience with Tina was enjoyable and rewarding and we would recommend her to anyone interested in buying or selling real estate in the Jacksonville or beaches area." Mr. and Mrs. G. Williams Sr.
"We listed our house for sale with Tina Schneider and she turned out to be a blessing in disguise. She went above and beyond what is expected and made a stressful transition so much easier. If you select Tina as your realtor, you will not only get a professional in the field of real estate, but a cheerful, kind and considerate person who will become a very good friend. We highly recommend Tina Schneider."